Home Nigerian News WAEC Board Withholds 13,488 Results. WAEC Board Withholds 13,488 Results. Olu Adenipekun, Head of National Office (HNO) of the WAEC, announced this while releasing results of the Nov/Dec diet of the examination on Friday in Lagos. Mr. Adenipekun said the results were withheld in connection with various cases of examination malpractice. 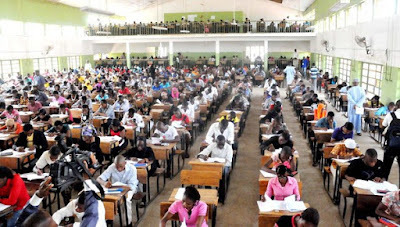 Giving a further breakdown of the results, Mr. Adenipekun said that 176,621 candidates registered for the examination, out of which 172,699 sat for the tests. Mr. Adenipekun said that 1,210 other candidates had some of their subjects still being processed due to some errors traceable to them in the course of writing the examination. Mr. Adenipekun explained that 66,497 candidates, representing 38.50 per cent, obtained credits and above in five subjects, including English Language and Mathematics. Mr. Adenipekun attributed the improved performance to the impact of democracy in the country. The official said that 19 blind candidates registered and sat for the examination. Mr. Adenipekun said that candidates who sat for the examination would be able to check the details of their performance on the council’s website in the next 24 hours.